Our comfortable sedans offer a smooth comfortable ride for up to 3 passengers. 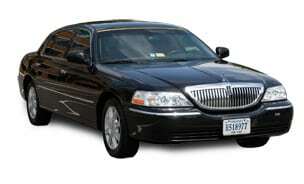 Great for CLE, CAK, and BLK airport transfers or wedding get away car. Available at point to point rate (click here for rates) or for $50 per hour with a 2 hour minimum plus 8% sales tax and gratuity. When you want more legroom, our SUVs can accommodate up to 7 passengers in comfort. 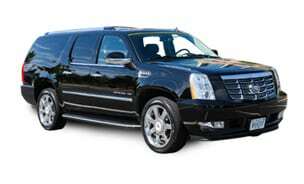 We offer GMC Yukon XLs and Chevrolet Suburbans with plenty of room for luggage. 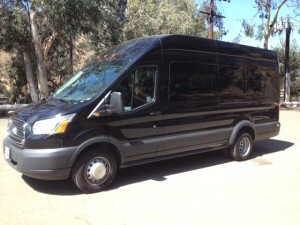 Click here for point to point rates or book at $60 per hour with a 2 hour minimum. 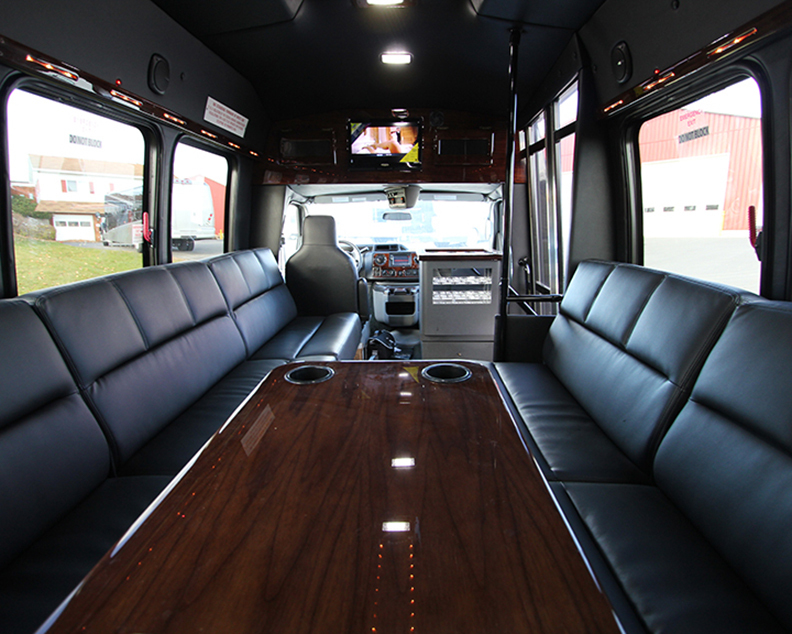 The Executive Van Terra provides a step up in luxury, including leather seating, high-gloss table and the latest in audio/visual technology such as Bluetooth, high-definition video and digital surround sound with a built in bar. 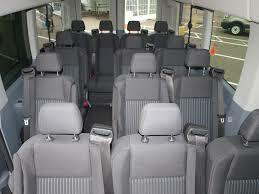 It ca accommodate up to 13 passengers. 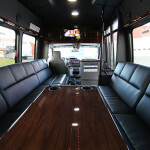 Great for weddings, bachelor/bachelorette parties, or the ultimate concert party bus. With perimeter seats everybody can face each other. Just $350 for the first 4 hours plus 8% sales tax and a 20% gratuity. Each additional hour is $87.50 per hour. 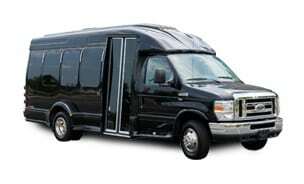 Great for nights out, concerts, wedding party shuttles and airport transfers. Black privacy glass all around. Holds up to 14 comfortably and has a great sound system. Click here for flat rates or book at $70 per hour with a 2 hour minimum plus 8% sales tax and a 20% gratuity. 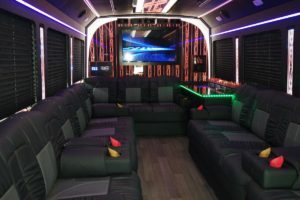 his bus Features LED Lights with music light show, two LCD TVs that can play DVDs while listening to music, touchscreen radio with iPod/Phone hookup for music,Perimeter Seating. Great for bigger groups concert and wedding parties. Rates for this bus is $110 per hour with 4 hour minimum rental plus 8% sales tax and a 20% gratuity. 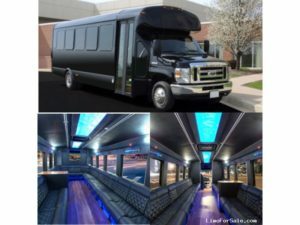 This bus Features LED Lights with music light show, two LCD TVs that can play DVDs while listening to music, touchscreen radio with iPod/Phone hookup for music,Perimeter Seating. Great for bigger groups concert and wedding parties. This bus legally seats 20. Rates for this bus is $117/hour 4 hour minimum rental plus 8% sales tax and a 20% gratuity. 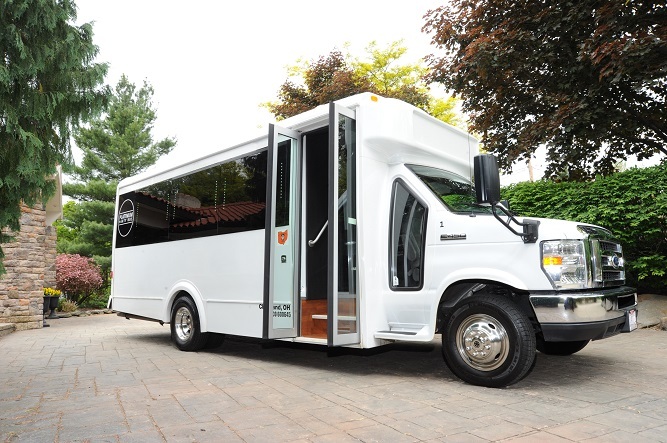 This bus Features LED Lights with music light show, two LCD TVs that can play DVDs while listening to music, touchscreen radio with iPod/Phone hookup for music,Perimeter Seating. Great for bigger groups concert and wedding parties. Rates for this bus is $127 per hour with a 4 hour minimum plus 8% sales tax and a 20% gratuity.